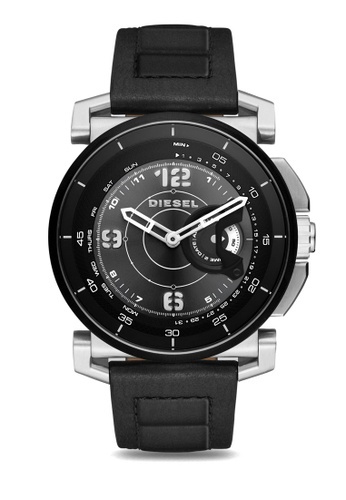 Go for a sophisticated look with this Diesel watch and you wouldn't be disappointed. Framed with black IP top-ring on its stainless steel case, you can receive notifications and call alerts on this timepiece so you'd always be on top of your schedule. Can't find Diesel Black Leather Hybrid Smartwatch DZT1000 in your size?